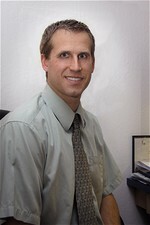 Dr. Ludwig received a Bachelor of Science degree in Biological Sciences from UCSB, and he received a Doctor of Dental Surgery degree at UCLA. He has worked in a private dental practice since 2001. He keeps very current with new technology and procedures. He also keeps up to date with numerous continuing education courses, ensuring his patients receive the most comprehensive and advanced dental care. Dr. Ludwig maintains one of the oldest dental practices in Cupertino, CA. His father started the dental practice in 1969 in an office just a short distance from the current one. Over the years it has remained a true family practice, served faithfully by a father and son. It has always been a patient centered practice with consistent and happy staff members. He is an active member and participant in the Santa Clara County Dental Society (SCCDS), California Dental Association (CDA), and American Dental Association (ADA). Dr. Ludwig spends most of his free time outside the office with his family. He has been happily married to his wife Sara for over seventeen years. They have four wonderful children - Natalie, Benjamin, Anna, and Katherine. He is an active member of his local church and community. He also enjoys playing and watching sports.